Jeffrey M. Bloom proudly serves the people of north Jersey, where he has been living for over 40 years. Mr. Bloom is a 2nd generation attorney. His father, who practiced law in New York City for over 40 years, is now of counsel to the Law Offices of Jeffrey M. Bloom. 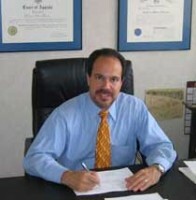 Jeffrey M. Bloom holds licenses to practice in New Jersey, New York, Washington D.C., the New Jersey Federal District Court and the Supreme Court. He has appeared on both local and national television. If your case gathers media attention, Jeffrey M. Bloom has the experience to speak for you.